Fortean London is taking a well-earned break this week. 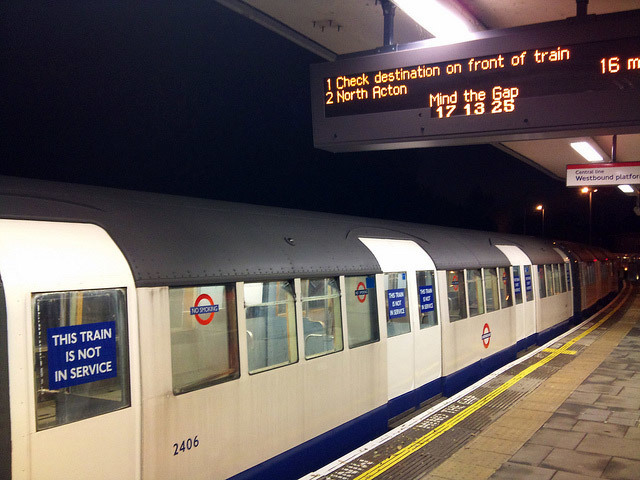 In its place, though, we have this interesting sight, spotted by Will Wiles (formerly of this parish) the other evening at Loughton station, toward the eastern extremity of the Central line. 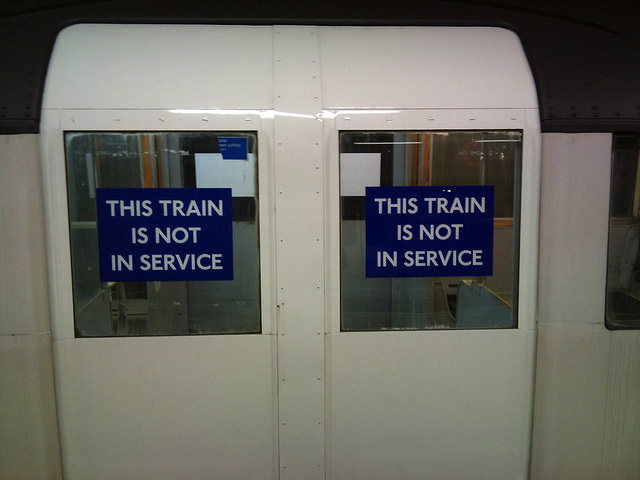 The "ghost train", as we're calling it (for want of better explanation*), is a 1962 model, which was the Central's rolling stock until it was replaced by the current models in 1995. 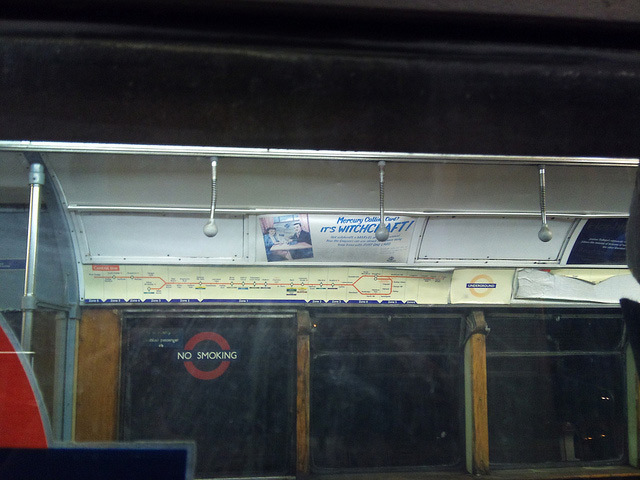 Appropriately, the train, which had "not in service" stickers posted onto it, had an advert for the largely-forgotten Mercury Communications call card, which was giving BT's phoneboxes a run for their money in the early Nineties. *Check the comments below for a proper explanation.All photos by Will Wiles.